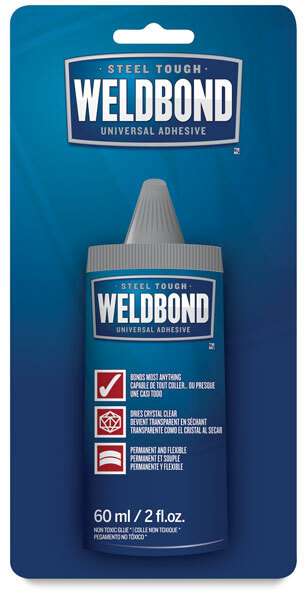 Weldbond Adhesive is a professional glue that meets all your fine arts and crafts needs. It dries completely within an hour of application and is transparent and flexible with no cracking when fully bonded. Use Weldbond with paint, wood, mosaic tile and glass, clay, model building and sculpture, canvas cloths, all papers, suede, and leather. It bonds to most anything with the exception of some types of rubber, plastic, and cast metals. Weldbond is non-toxic, odorless, and cleans up with water. 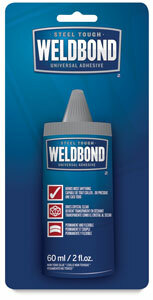 ® Weldbond is a registered trademark.